Density rules such as the “right- hand drive more than 1 out of 2” ensure the needed relief if dealing with highly fluctuating processing times of varied products. These rules are an effective tool for accomplishing a levelled and steadied production. Prerequisite is the use of the right rules: to determine those is a real mammoth task for millions of variants on hundreds of stations. 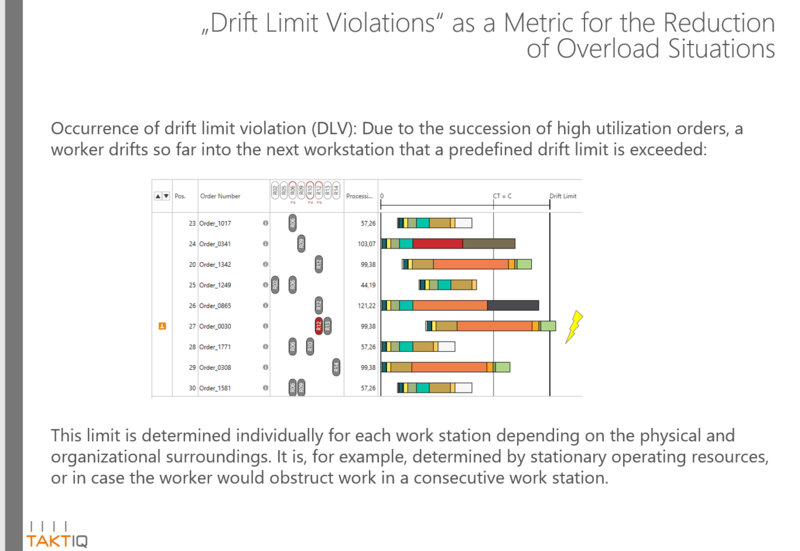 Not to mention the fact that rules have to be adapted for every task move. 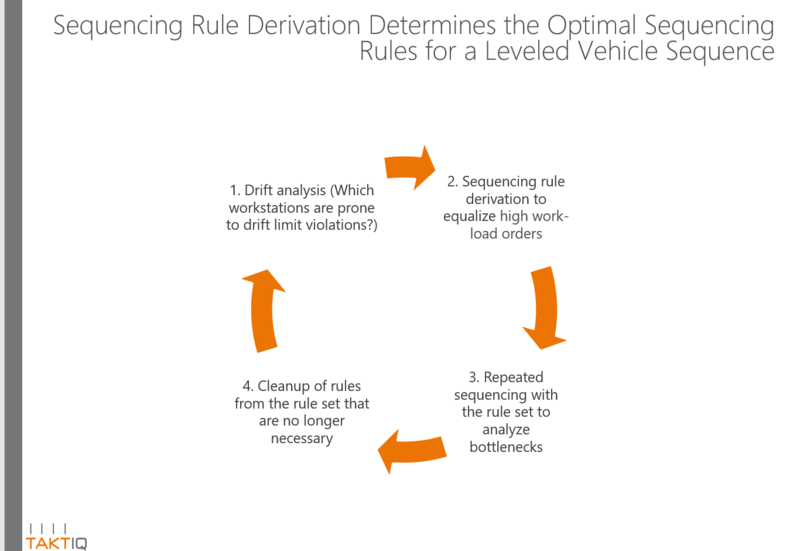 The sequencing rule derivation uses all available orders and line balancing data to analytically determine the optimal sequencing rules for a leveled production process. Questions like “Which order variants are problematic on which stations?” can be answered at the push of a button. For each station sequencing rules are determined automatically. For each rule several alternatives are proposed. Simulations help to assess the results with regard to bottlenecks in the best, worst and average case. We take into account all the complex order and line balancing data to establish a set of rules for an entire line. This approach ensures that individual rules do not overlap or interlock, causing that no error-free sequences canbe found. The result is a maximal effective sequence-able set of rules. In case of changes in the line balancing and adjustments of the order program, all rules have to be checked again. This should, of course, take place before any changes effect your production. 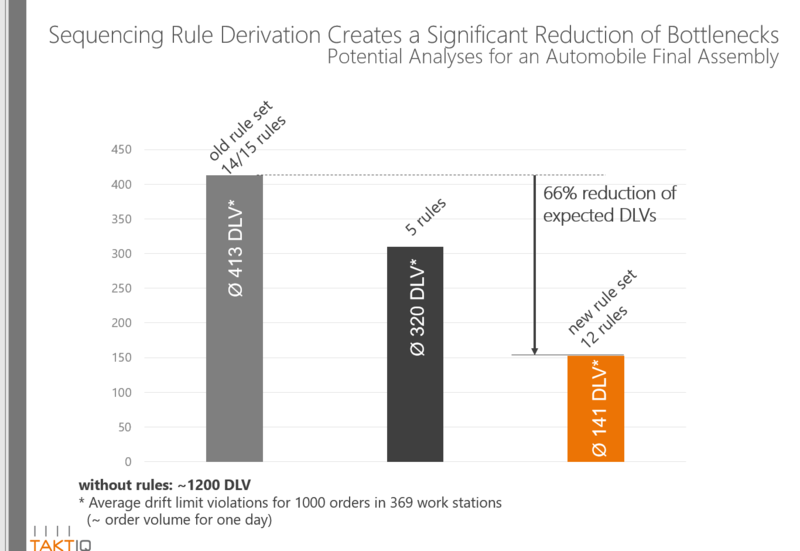 Using the sequencing rule derivation, you can check proactively how these changes of the order programs can affect the rule set. Further, you will get information on the status of the rules. You will exactly know which rules have become obsolete, which rules have to be tightened and which rules can be disregarded. Our approach provides the necessary information before any problems can occur in your production. 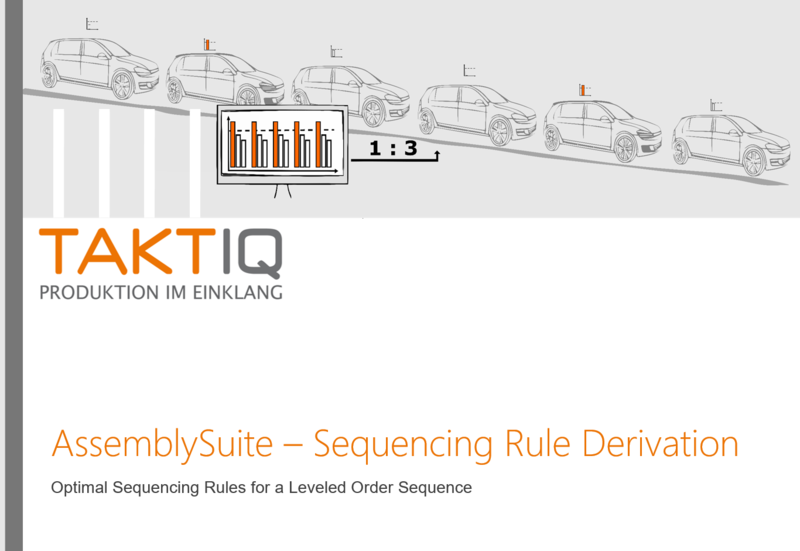 Use the AssemblySuite to get the best support in the derivation of sequencing rules. Find critical product variants, determine the necessary densities and communicate the results transparently to all parties. Multiple visualizations and sensitivity analyses are meant to point out in great detail the necessity and function of each and every rule. As an alternative to install the software application and derive the rules by yourself, we offer to find the best rules for you. On the basis of your data we will supply you with information on the control of production critical order variants and an optimal set of rules. 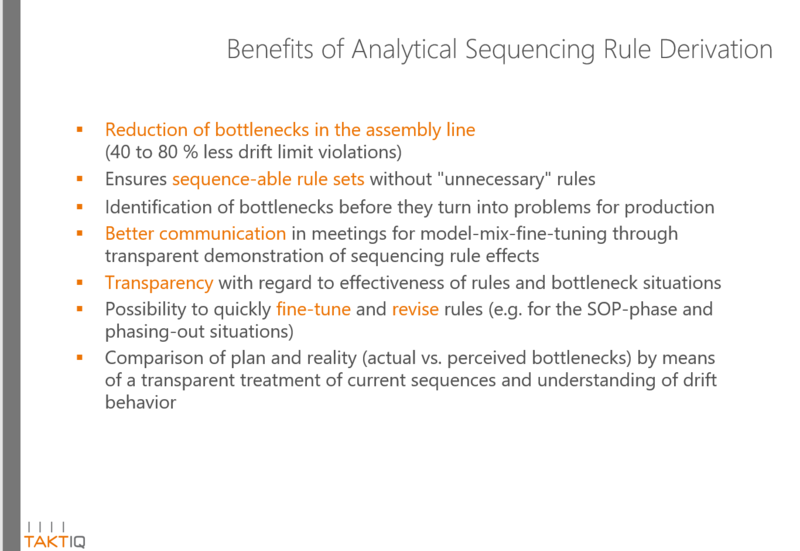 We will analyze and compare already existing sequencing rules and, from there, we will indicate optimization potential transparently. Once as a service or on a regular basis for every line balancing or order program change.